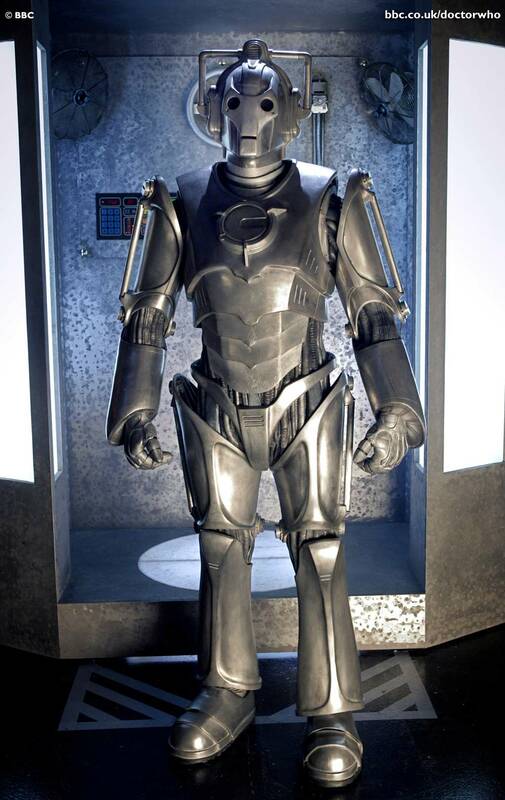 The offical Doctor Who site has pictures of the 2006 model of The Cybermen. Like last year's redesign of the Daleks, it's actually a lot more of a traditional design than some people might have expected -- it's a bit more of a redesign, but then the Cybermen have always been a lot more varied over the years. It looks a lot like you can see Bryan Hitch's influence here -- it looks similar to his Iron Man. I'm actually quite pleased that it's neither a Borg-style design, as the Borg are very similar conceptually to the Cybermen, and that they are men-in-suits as opposed to the CGI Cylons from the new Battlestar Galactica. They're recognizably Cybermen, with handlebars and eyedrops.